Dark as night foliage with gorgeously scalloped leaves. A knock-out in patio pots, combos, and as a striking accent with white, gold or light colored plants. Deer-resistant. I love this plant. I've been growing it in my rock gardens in Boston for about 3 yrs. 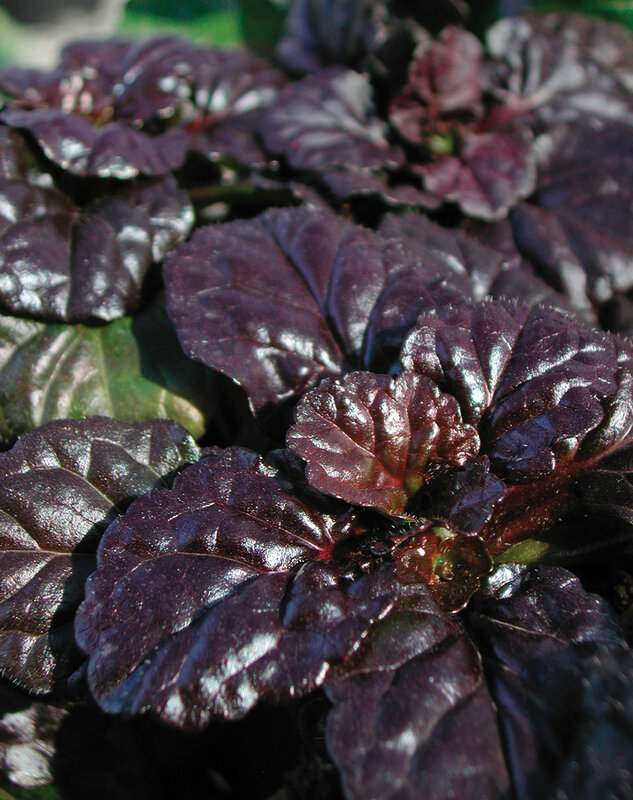 It's a great year round plant because of it's beautiful shiny dark plum colored foliage (almost black by the early fall) and deep purple flowers in late Spring. 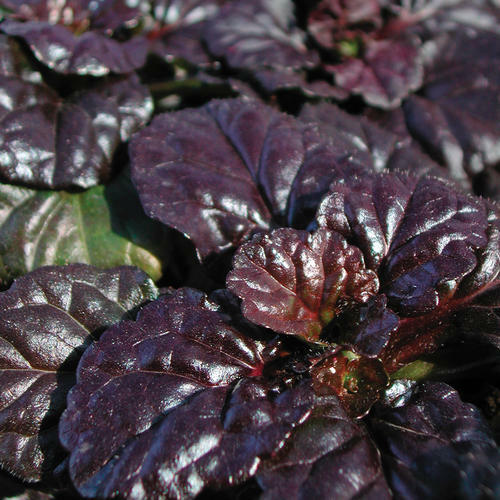 It provides an outstanding contrast to almost all other plants. I've planted 150 (75 twice). Costly at this point. Start out doing great and growing then for some reason DIE. Conditions for them are perfect (sun, soil water) so I don't understand, Looking for another alternative. I adore ajugas but most fail to take hold year after year, we salvaged one year before from a pot in Autumn and had a gorgeous ground plant all this year....hope it's still with me next year too! Gorgeous Color!